Samuel Adams was a Boston-born political leader who played a vital role in moving colonial America to its decisive break with Britain during the American Revolution. The second cousin of President John Adams, Sam Adams helped organize opposition to British taxation, including the Boston Tea Party. In his home state of Massachusetts, Adams held a number of political offices, and served as governor from 1793 to 1797. Samuel Adams was born September 27, 1722, the son of Boston merchant and brewer Samuel Adams Sr. and his wife Mary. The Adams family were devout Puritans, and Adams Sr. was a deacon in the Congregational Church. His parents hoped that the younger Samuel would pursue a life in the church, but it was his father’s other role, as a rising influential local politician, that caught Sam’s attention. He attended Boston Latin School, then Harvard University, where he received both bachelor’s and master’s degrees. While at Harvard, he wrote a thesis – controversial for its time – that questioned the rights of the British government and supported the right of colonists to resist laws they deemed harmful to their interests. Adams worked in a variety of jobs after graduating, including stints at a bank and his family’s malthouse. He and several friends founded a local newspaper in 1748, which featured Adams’ political essays. He married the following year, to Elizabeth Checkley. The couple had six children, but only two lived to adulthood. 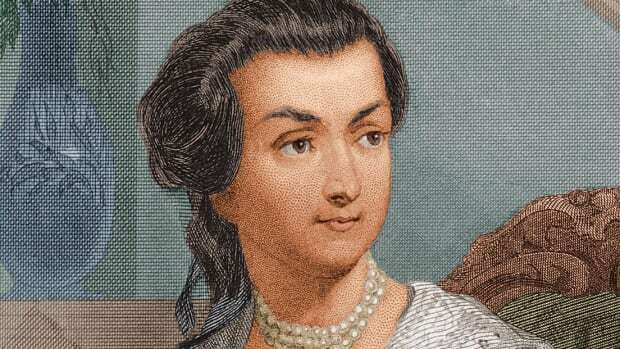 Following Elizabeth’s death in 1757, Adams remarried. He and his second wife, Elizabeth Wells, had no children. Rising through the ranks of local Boston politics, in 1756, Adams was elected as a tax collector. However, his failure and refusal to collect taxes from some of his fellow citizens left him liable for the due payments. Friends eventually helped him pay off some of the debts. The incident did little to dampen Adams’ popularity with the people, however. Already, he was showing the strong sense of character that drew people to both him and his ideas. Just as Adams was emerging as a powerful and persuasive critic, the British passed a series of laws that he used to his advantage. The 1764 Sugar Act was an attempt to protect the British trade in sugar and molasses by curtailing illegal importation, which affected the revenue that was needed to pay for the French and Indian War. The Sugar Act only impacted a few colonies, but Massachusetts was one of them. Adams brought heightened attention to the act by leading local opposition to it. The following year, the Stamp Act was passed. This was a more direct tax that impacted the everyday life of nearly every colonist, slapping a levy on everything from newspapers and legal documents to playing cards and school diplomas. The Stamp Act was deeply unpopular across the colonies. In Virginia, it inspired the legendary “Give me liberty, or give me death” speech by Patrick Henry. Adams and other Boston-based patriots, including a radical, secretive group known as the Loyal Nine – a precursor to the Sons of Liberty – organized direct action, leading to the Stamp Act Riots. The British Parliament repealed the act the following year. During this period, Adams was elected to the Massachusetts House of Representatives, where he worked alongside John Hancock and others. In 1767, Britain passed the Townshend Acts, a series of measures that taxed imported goods. 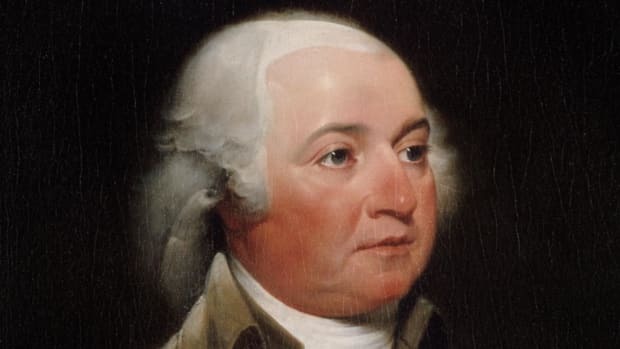 Adams again led the opposition, working on a direct appeal to King George III, which became known as the Massachusetts Circular Letter, and calling for the removal of the Massachusetts colonial governor. With unrest in Boston growing, including physical attacks on tax collectors, British troops were sent to the city to quell dissent. Adams once again used this to his advantage, publicizing any misdeeds by the new occupying troops, including the notorious Boston Massacre of 1770. In the fall of 1772, Adams, Otis and Dr. Joseph Warren were among those who created a new Committee of Correspondence. The group was designed to foster communication between patriots throughout Massachusetts. The idea quickly spread, and within months similar committees were established throughout the 13 colonies, uniting colonial resistance leaders for the first time. 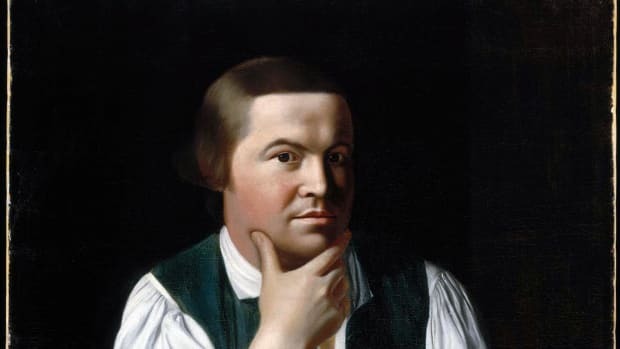 While Adams himself did not participate in the legendary Boston Tea Party, he likely was one of the driving forces behind it. Following the repeal of the Townshend Acts, Britain announced plans for a new tax. Like the Sugar Act, the new Tea Act aimed to raise revenue and prevent the smuggling of non-English tea into the colonies. But on the night of December 16, 1773, members of the Sons of Liberty boarded the ships, tossing the tea overboard. In response to the Boston Tea Party, Britain passed the Intolerable Acts, which closed the port of Boston and required all colonists to provide accommodation for British troops. Once again, Adams led the opposition in Massachusetts. In the fall of 1774, Samuel Adams was one of four Massachusetts representatives to the First Continental Congress in Philadelphia. Adams called for independence, and the Congress agreed to boycott British goods until the repeal of the Intolerable Acts. Adams’ agitation made him a marked man. Back in Massachusetts where he was serving in the House of Representatives and beginning to arm a military, Adams and Hancock fled from Boston to the safety of nearby Concord. 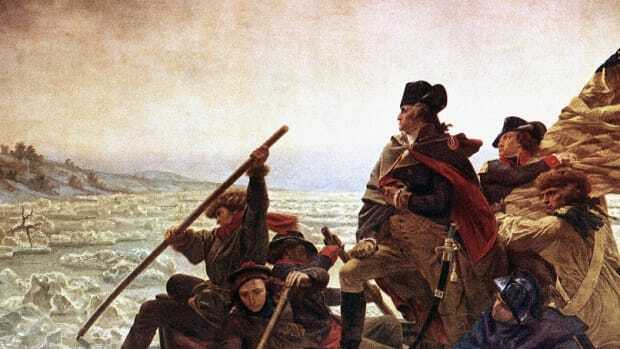 It’s believed that the first shots of the American revolution, fired at Lexington and Concord in April 1775, may have been part of a British effort to find the two patriots. Adams returned to the Continental Congress, where he and cousin John continued to call for independence. Both signed the Declaration of Independence, issued in July 1776. During the American Revolution, Adams helped draft the Articles of Confederation, which reflected his fears of a centrally controlled federal government. He returned to Boston and helped pass the Massachusetts constitution. 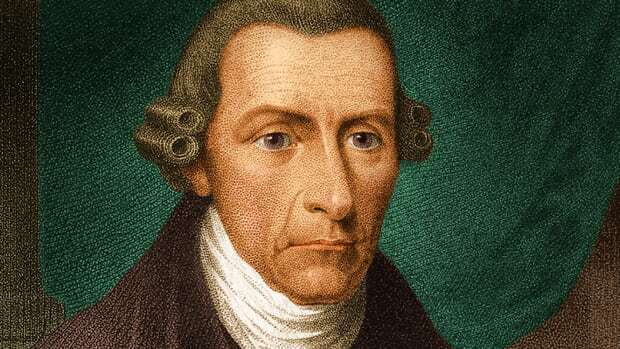 Despite his misgivings, he eventually supported Massachusetts’ ratification of the U.S. Constitution. 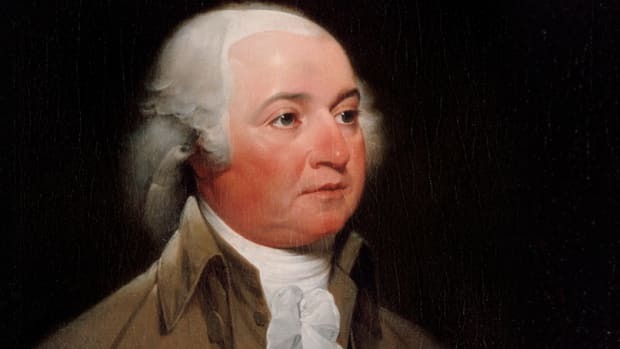 As Americans began to divide themselves along party lines, Adams aligned himself with the Whig Party, instead of the Federalist Party led by John Adams. He was elected lieutenant governor, under John Hancock, in 1789, and became governor in 1793. He retired due to ill health in 1797, and died on October 2, 1803, aged 81. 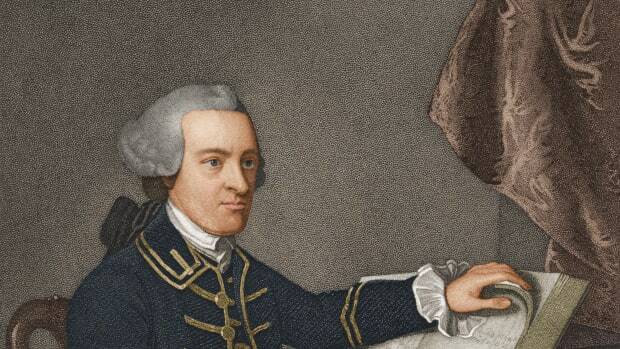 Samuel Adams: The American Revolution, The Colonial Williamsburg Foundation. Samuel Adams: Boston Tea Party Ships & Museum. Samuel Adams: Samuel Adams Heritage Society. The Reader’s Companion to American History. Eric Foner and John A. Garraty, Editors.